John Shafer and his family brought a surprisingly haphazard and improvisational approach to learning the winery trade, but Jay McInerney finds that the results are some of Napa Valley’s finest wines. 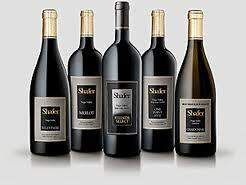 Like more than a few Napa Valley wineries, Shafer Vineyards had its inception in a midlife crisis. John Shafer was a 48-year-old former bomber pilot working for a textbook publisher in Chicago when he decided to pile his family into the station wagon not long after reading a 1972 Bank of America BAC +1.13% investors report about the bright future of the California wine industry. Just how quixotic a gamble this move was is vividly illustrated in “A Vineyard in Napa,” a memoir by John’s son Doug Shafer. Shafer has become one of Napa’s most beloved and dependable brands—the wine-world equivalent of Danny Meyer’s New York restaurant group—despite fire, biblical infestations of insects in the vineyards, bacterial spoilage in the cellar, as well as self-professed ignorance and incompetence among the principals.